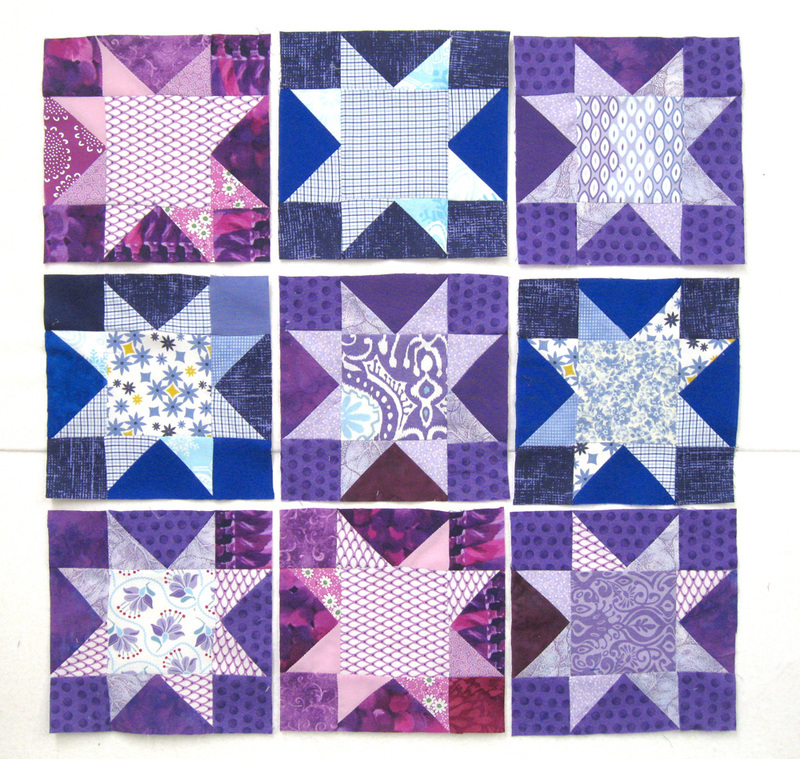 Here are my nine Scrappy Stars for the December drawing. These were so much fun! Thanks for a great block!